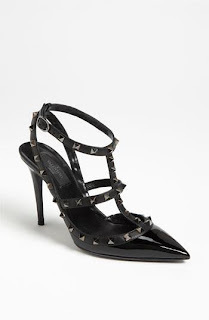 I have been in love with these Valentino Rockstud Pumps for as long as I can remember. One big problem....my wallet would never forgive me. I have found a gorgeous similar pair! Shoe Dazzle, has these shoes on their website and they look so similar! Plus, they are at a price that keeps my wallet happy.